Have a go at the Silver Star Anderson Silva UFC 117 Walkout T-Shirt! Anderson “The Spider” Silva, which some may claim to be the Bruce Lee of MMA, will be defending the UFC Middleweight Championship belt against Chael Sonnen (R) at UFC 117. Let’s just hope that if Anderson Silva does make a mockery of Mr. Sonnen that he doesn’t do so in the fashion that he did with Maia. 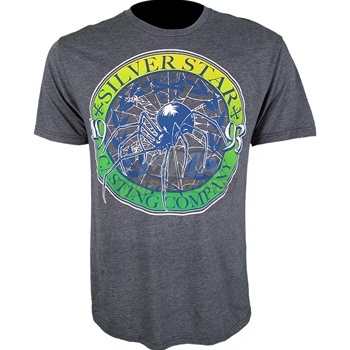 This Silver Star Anderson Silva UFC 117 Walkout T-Shirt is made out of super comfy Silver Star 100% cotton and features an athletic cut. Comes in Charcoal or Red for $35.99 at MMAWarehouse.